- It's very easy and straightforward to put one. Buckle the waistbelt, put baby in, straps on and back straps. Adjust, done. - Great to feed in, there are a couple of tiny upper straps close to the top of the panel. If these are as tight as it gets in the beginning, loosening them when baby is in should be enough to lower baby just at the right height for breastfeeding. - Can be used for an extended period of time (11-27kg). This might as well be your last carrier until your back gives in! - Tons of cush on the super well padded straps to help support the 11+ kg. The padding on the straps and on the belt are very nice. Comfy, not bulky, perfectly shaped. - It's very versatile and easy to share. This is actually the first carrier we are able to share as it is so easy to adjust, my husband is 1m97 and 92kg while I'm 1m78 and 60kg! I put the straps on minimum on me and daddy has enough strap padding to be able to have the back clip at the right height, which is a first out our 3 toddler carrier. - Let's be honest... Tula prints are super pretty! - I love that it goes in the wash! The other carriers we have are hand wash and this is just so easy! Toss in the washer, put on 30 degrees with non-bio detergent, lay flat to dry and...tadam, all new! - The carrier itself is super lightweight (0,8kg), easy to fold and carry anywhere. - It is a bit scratchy when coming out of the box and the straps are a bit difficult to adjust. However it softens pretty fast with use and becomes all floppy and nice! - The back strap is best adjusted when placed on the middle of the shoulder blades. 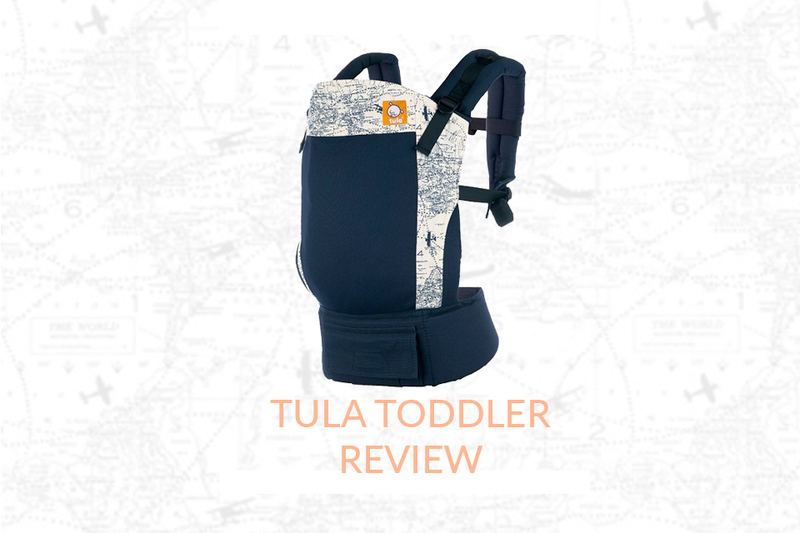 On the new Ergobaby 360, you have a rail allowing you to slide the back strap up and down really easily whereas on the Tulas you still have the regular sliding buckles which are harder to adjust, especially when baby is already in the carrier. A great option for big kids without compromising on comfort or looks. Easy to use and very handy for toddlers that need ups and down often. The best carrier I have encountered so far to share between carrying parents.